I hope you all already know what is a run command. But if don’t, It is a default function provided by windows OS to jump on any software you want to work on. It is like a shortcut to avoid the step by step procedure . 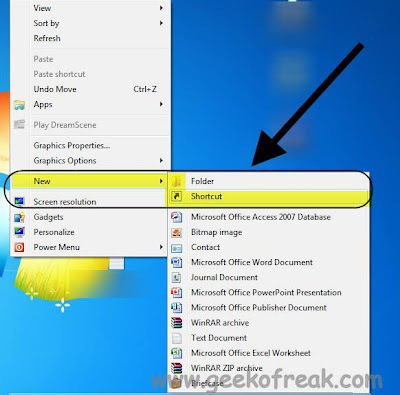 Since it is not possible to keep icons of all the programs on the desktop, windows has equipped this RUN command for ease of use.To open the RUN window simply press Windows key and then R key on your keyboard. (i.e. Window+R). Then type any program name that you want to execute and you are done the program will start running. But the drawback is that there are only few inbuilt programs which can be used via this method. But here I am showing you the trick to create commands that are not built in within the windows and you can run any of the software by typing any keyword you wish to assign to that software. 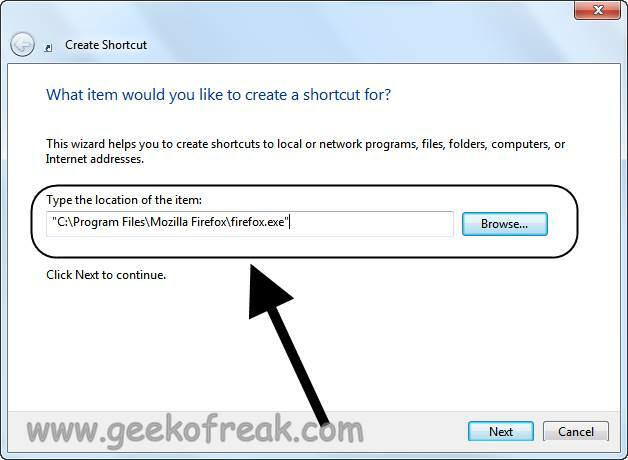 Right click on desktop of your system and create a new shortcut as shown in following screenshot. After completing step 4 simply cick on Next button and give the desired name to that shortcut which you will be using later in Run window. [e.g . For Mozilla Firefox I am using ff]. Now click on Finish button. With completion of step 5 an icon of that software will appear on your desktop. It will indicate that the process has been successfully completed and you are almost done. 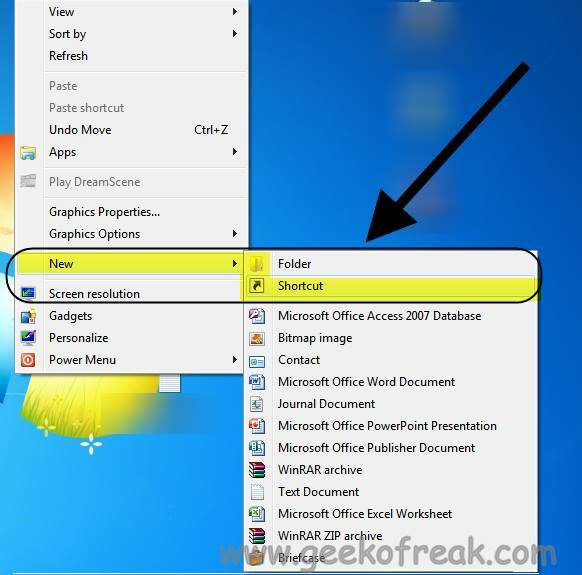 Now simply cut and paste that newly created shortcut into your root drive’s window folder. Here you finished all the setup and now ready to run the software. Simply go to Run and type the keyword you had assigned earlier in setup phase and your software will start executing. I believe today i added something To your Knowledge. Thanks for Reading. It was very usefull. Thank you very much.